While everyone has been talking about delevering, the security numbers tell the story. Looking at weekly securities flows in Japan, the net flows back to Japan are huge but it it not the foreigners but domestic investors making a difference. This home bias is what is driving the currency. It is a risk aversion story on the securities side of the capital account. Japanese selling of bonds was almost ten times greater than foreign buyers. Foreign buying has a seasonality where selling occurs at the end of the month and then is positive during the rest of the month. That pattern has not been in place over the last 30 days where flows have been out of Japan. Equity flows were mixed with Japanese being net buyers of foreign stocks in the month of October while foreigners have been net sellers since the end of the second quarter. Japanese buyers have been US bargain hunters. Gasoline refining margins have been negative during the month so it is not profitable to run refineries and convert oil to gasoline. The middle distillates spreads have also narrowed. At these margins, you cannot make money by refining in size for gasoline. You cannot grow out of this hole. Overall cracks as measured by the 321 and they are still showing a gain. The problem is that with drivers not putting the petal to the metal, demand is way off. Inventories will rise with products until refining is curtailed. Gasoline is off 46% in the last 2 months. Heating oil is down lose to 39% and crude oil is off 43%. The problem with oil pricing is often logistical, can you get product to where it needs to be or can you produce product in the right size. Hurricanes, bottlenecks, geopolitical risks all create logistical problems which lead to higher prices, but the logistics can have a way of moving in the opposite direction. If demand falls, supply cannot always respond quickly especially if production is determined by a cartel where members have strong funding needs. The US finally got quarterly GDP data which turned negative; however, the negative number was less than expected at -.3%. Initial jobless claims are showing a 12 week moving average which is much higher than the 2001 recession especially adjusting for 9/11 and are reaching levels seen in 1990. Continuing claims are still accelerating and match 2001 while exceeding 1990. It is going to be a cold Christmas for consumers. Europe is no better with European Commission consumer confidence hitting lows that are similar to the 1993 recession. Economic confidence has fallen to 1990 lows. Industrial confidence is sliding to 1992 levels. Services confidence which was started in in 1995 has reached all time lows. Overnight, the IMF, the European Union, and the World Bank announced a joint 20.5 bn EUR (USD 25 bn) financial package for Hungary. Together with the recent 17 bn EUR FX reserves, this package is sufficient to cover EUR 33bn of external financial needs of the country over the next 12 months. HUF is up strongly since the announcement. The other Eastern European currencies are also stronger given that there is now a back-stop of support by global financial organizations. This deal was less intrusive than Iceland but then Iceland became an extreme. The IMF is now moving on an Iceland loan as well as talking with the Ukraine. The IMF board waived demand for fiscal austerity from borrowers which was a major issue with many countries. The IMF strings attached to loans were just too great in past crises. This more measured behavior by the IMF has been supportive to all emerging currencies. Surprisingly,dollars have been in short supply for many emerging markets. The dollar squeeze has been a contributor to the fall-off in emerging market currencies, but the decision to extend swap lines to foreign central banks, Mexico, Brazil, South Korea and Singapore has eased the pressure. Each country has received a $30 billion swap line. This intervention to provide dollars reduces the pressure to delever dollar hedges or funding. If the demand for dollar is reduced because the local banks extend credit then the currency sell-off from this market segment will be reduced. The Fed cut of 50 basis points and the decline in many USD money market rates has also eased some of the dollar demand. Clearly there was a flight to home currencies and an exit from emerging market equities as the world became risk averse, but the size of the October moves weer exacerbated by technical issues which can be be mitigated through the opening of swap lines. The Fed however helped only four countries and the IMF will have to step in and provide funds to other or there will be a differential between have and have-not emerging markets. Nevertheless, the impact on emerging markets of easing emerging currency pressures has been across the board with PLN, ZAR and TRY all up double digits this week. The impct of the dollar rise in many countries is real and is secondary effect which will further slow global growth. The world needs cheap dollars. The Conference Board consumer confidence shows the lowest number ever recorded at 38. This is worse than the end of the go-go 60's, the inflation shock in '74, the Fed rate shock in the early '80's, the savings and loan recession of 1990, tech bubble, and the 9/11 scare. The pessimism is across the board for all age groups and all income groups. A decline in expectations for consumers will translate into slower growth; however, the number show that these lows are often short-lived and will usually see a quick bounce. Expect the Fed to lower rates to provide some support to offset this gloom. After receiving help from the IMF, the usual policy prescription was put into place, raise rates. The central increased short rates 6% after it cut rates 3.5% on October 15. The rate cut was to help a floundering economy. The rate rise was from the IMF Asian crisis playbook. It will cut growth but try and stop the run-away inflation which has reached 15.9% in October. For any country wanting IMF aid, there will be costly strings attached. Central bank intervention by the RBA has tried to stop the excessive volatility in AUD. Of course, it is not the volatility which is the worry but the one direction move of the Aussi dollar which has fallen by 25% since the end of the month. While AUD is off the low, the size of the move is unprecedented. This AUD move is the flip-side of the yen rally. Delevering has hurt high yielders and caused large gains in the low yielders. This has only be exacerbated by the fact that Australia as a commodity currency has been hit by a the fall-off in metals, oil, and foodstuffs. A recession with high rates in a deleveraging environment is a combination that cannot be easily stopped. We are seeing the currency at early 2003 levels. The G7 voiced "concern" about the appreciation of the yen. They also stated that they would "monitor the markets closely and cooperate as appropriate." This jawboning was supposed to have the effect of slowing the ascent of the yen. No such luck. Without clear action to stop the delevering flows, there is no reason to see a change in the yen direction. It is usual to see the G7 be so specific about a currency but there is a significant bias with the Europeans given the size of the move in eur/yen. The Japanese have the most to lose from an appreciation given their strong export business and the current slowdown. Given the size of the delevering, there is little reason for Japan to intervene and stop the move. They will have to wait for an extreme when their intervention money will have some impact. The G7 has lost control of global capital flows and there does not seem to be a financial mechanism to gain control of the situation. The problem is twofold. There are countries which are seeing their currencies depreciate. In this case, raising interest rates will hurt internal growth. Using foreign reserves may not be effective if the size of delevering is greater than the available reserves. The second problem is currency appreciation which is the case of the yen. Here there may be the belief that flooding the market with yen may work, but if world interest rates converge there is less room for a rate impact. The G7 belief is that Japan could be pressured to reflate and cut the yen rally. All trends will continue in this environment. Policies in place will not end the flight to home currencies and the cut in leverage. The great diversifier of traditional investing has been to hold international stocks. You get an allocation in country risk that may be less correlated with the US and there is a diversification benefit from holding a foreign currency. We have now seen the carnage from a global liquidity crisis and international diversification in the last month. Australian stock market down over 22%, in dollars down another 20%. The exception has been Japan down over 36% but in dollars only down 27.5%. Currency trading matters Hedging matters. With the foreign markets down capital outflows will need to buy dollars. If hedges are in place, rebalancing will mean dollar buying. The problem gets worse as the feedback from equity to currencies cause more selling. This does not show up in normal times, but at times of extreme stress, the cost is high. The global stock markets really took a dive on the UK GDP numbers which showed a contraction of .5% QOQ. This was greater than expected though the market was looking for a negative number. This is the first negative quarter number since 1992 and is plunging to levels seen during the 1990 recession. Sterling has fallen to levels seen in 2002. The capital flows which have driven the British and London economy are gone. Since mid-July when it was at $2 the pound has lost over 20%. The currency is looking similar to Bank of England rout in 1992 when the currency went from just under $2 to $1.52 and finally hit a low of $1.42. All of the European economic numbers released today have fallen below expectations. The European PMI which has been going down for a year has hit multi-year lows. With all of this bad news, there is no reason that earnings to stay robust. Liquidity is not going to solve this problem. Banco de Mexico bought about $1.1 billion peso to stop the currency decline as the flight to dollars is having real effects around the world. The government is also going to allow foreign companies to explore for oil to help the government finances and exports. Mexico is being hit with declining exports, rising interest rates and quickening inflation. Reserves are falling in Mexico as the central bank tries to halt the currency decline. The situation in Mexico will not be positive given the strong ties to the US. A recession in the US will pull economic performance south the border which will lead to a further flight to quality. It will be hard to control the currency because the Mexican reserves are less than countries like Brazil. These are the situations which everyone feared in 1997-1998 and has been the reason for the build up of reserves by so many countries. Brazil has been one of the success stories of the emerging markets, but the real has been taking a beating in the currency markets. The significant decline from 1.63 to 2.26 since the beginning of September has made the real one of the worst performing currencies in the world. Only Iceland which is or all intensive purposes bankrupt and South Africa have done worse over the same period. The decline in the real has had a negative effect on exports which has been one of the bright spots of the economy. Foodstuffs are a major export business which has been further hurt by the decline in commodity prices. Exports have also been hurt by the fact that currency hedges and dollar funding have worked again many firms bringing them to the brink of bankruptcy. The central bank which has over $200 billion in foreign currency reserves used its funds to intervene in the market and try and arrest the decline. Since the fundamentals of the economy are sound and inflation is under control, this is a good use of the funds especially if the problem is contagion and short-term liquidity. The government has also reduced taxes on investments into Brazil which may increase the attractiveness of the real in the longer-run. Here is a perfect case for the IMF to provide liquidity without onerous strings attached to help countries avoid the ravages of contagion. 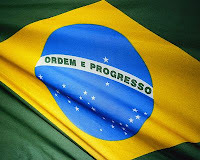 Brazil is not Argentina and should not b painted with the same brush. This situation is all the more reason for a global discussion on how to address currency issues beyond the G7. How much has the commodity world changed? The prices in commodities have moved back o levels not seen in over a year and that was during a period of relatively strong global growth. The speed of the price decline has actually exceeded the movement up during 2008 in many of the markets and there are growing reports that supply is greater than current world demand. The declines in many cases have been close to 50% in a span of three months. However, current price levels have a further decline if we look to the last recession. The emerging market currencies have gotten especially hard hit during this credit crisis even though in many cases their growth rates have far exceeded the numbers that have been seen in the G7. The flight out of emerging markets is real but also more complex. The emerging market currency sell-off also has to do with their ability to receive dollar swap credit lines. The emerging markets have been limited in their credit lines relative to the G7 which have a lender of last resort relationship with the Fed and ECB. The currency swap lines were put in place by the Fed to slow any meltdown in the currencies markets because of the impact delevering on foreign loan funding. With mammoth funding in the dollar, the seizing of money market rates will have currency effects as currency hedges are lifted against assets and liability sales. G7 currency will get fund from the Fed but what about countries rest of the world which in many cases are closely tied to the dollar. They will have to fend for themselves and use their reserves to smooth nay currency issues from dollar delevering. The credit problem becomes a greater emerging market problem because of the lack of liquidity available. There is nothing coming from the IMF who seems to only want to intervene in the markets when the problem becomes a country specific crisis. If governments are interested in a holistic solution, then more has to be done for emerging markets which have been the drivers of global growth over the last few years. The Hungarian central bank raised rates 3 percent to 11.5% in an effort to stem the currency slide in the forint. This is a classic play to punish speculators through making it more expensive to hold the currency. The real rate is now above 6% and may rise further on falling inflation. These central bank activities usually do not work even though the immediate reaction has been a strong appreciation of the currency. What makes this different from Iceland is that the poor economic situation is better known and we are in the middle of a credit crisis cross Europe. Higher rates may not be enough to attract capital. The situation is poor in Hungary where growth will be curtailed to save the currency. The debt structure has too much focus on the foreign currency loans. This rise came after the ECB provided a 5 billion euro loan. The IMF may also have to step in. The biggest concern should be the potential for contagion to the other emerging market countries of Eastern Europe. Th president of Argentina proposed a nationalization of the private pension system to help cover the needs of the government from the fall in revenue associated with a decline in commodity export revenue. Bond yields have exploded and the stock market has tanked in response to this effort to stop a second default this decade. The currency has already been hurt from the international credit crisis. The Argentine economy has not done well recently. CPI is above 8% and unemployment is at the same level. Consumer confidence has fallen to a five year low before this event even though real growth has been steady above 7%. Construction activity and shop sales have fallen below recent averages. The current account has been slipping fast and the desire to invest in the country will be even further eroded. The plan tells investors the extremes that may occur once the move to nationalization starts. The nationalization of private pension plans which were started in the early 1990's will reduce the government deficit, but any short-term gains will destroy savings alternatives. his should be a warning sign for citizens in other countries of what can happen if government intervention gets out of hand. The global economy is facing twin problems, a bank and a financial crisis. It is important to distinguish between the two because the policy prescriptions and the choices of where to invest will be based on which of these two issues dominate the financial world. First, we need to define the distinction because it is details which will be affecting our judgment. A financial crisis occurs when there is a failure in capital markets. It is associated with savaging of assets prices because of credit defaults and will lead to restrictions in a firm’s ability to raise capital. The problems with CDO, default swaps, mortgages, commercial paper funding can all be lumped together as part of the financial crisis. The financial crisis means that markets cannot clear at fair value prices and a premium must be given to provide liquidity. The credit crunch arises from because the price of credit availability is higher than the expected return on projects. A banking crisis is associated with the lending activities of banks. This could be interbank loans or loans to commercial enterprises. A banking crisis is also associated with the capital adequacy and solvency of banking institutions. It is a funding liquidity problem and a crisis that is associated with bank runs. There will be a flight to quality as investors move their money into the risk free assets and will not lend. Bank solvency is questions so money is moved out of any risky asset even overnight funding. There is the freezing of money markets. Now the banking crisis can actually be manifested in the capital markets through the shadow banking system of money market funds. If money market funds will not lend, and there is a flight to quality into Treasuries, there will be a “seizing” or “freezing” of money markets. It is not a price effect but a quantity effect. There is no lending at any price. There is no liquidity or lending activity to speak of. The banking and financial crisis may occur at the same time but it is necessary for them to both happen. They could also be classified as a liquidity and credit crisis. For a credit crisis, the appropriate policy is usually to lower rates. A credit crisis is mainly focused with the price of risk. The credit event is usually tied to the business cycle and a downturn in the quality of debt. In a banking or liquidity crisis, the price of credit is not the issue as much as the quantity of the credit. You have to get banks to lend their reserves. If there is no lending because banks believe other banks are at risk, there is a collapse in the credit markets. The Fed thought it was dealing only with a credit or financial crisis emanating from the subprime housing market collapse. The appropriate action would be to allow pricing to adjust in the capital markets for those securities that were falling in value and lowering rates to ensure that there was no carry-over to other market sectors. Unfortunately, the financial crisis then became a banking crisis as it was believed that the subprime housing market losses were concentrated in banks which would erode their capital. In the banking crisis, the cost of credit is not important. The value is on the ability to shore up balance sheet and provide equity capital for banks and provide for the safety of deposits. It is this type of crisis that requires more active intervention and will take longer to solve. Moves in carry currencies have matched swings in equity market behavior. As concerns for credit markets have changed, so have the currencies that are represented by the carry trade. The yen has strengthened as carry has unwound only to reverse again once banks were believed to be safe. These swings have not been tied to any significant rate changes but solely a function of perceived risk. The yen has advanced just under 8 percent only to reverse 3% since Friday. AUD is even more dramatic with a 15.5% decline since month-end and an 8% reversal. The levered or invested currencies are seeing more volatility than the funding currencies but both are being driven less by economics and more by fear. The AUD move has been even more dramatic because of the decline and rebound in commodities. BRL and ZAR both high yielder have followed the same pattern in the last three days. This is no place for currency decisions based on yield differences. The value of holding currencies is with their ability to be uncorrelated with equities. When correlations increase with traditional assets, their diversification value is diminished. "In economics, rent seeking occurs when an individual, organization or firm seeks to make money by manipulating the economic and/or legal environment rather than by trade and production of wealth. The term comes from the notion of economic rent, but in modern use of the term, rent seeking is more often associated with government regulation and misuse of governmental authority than with land rents as defined by David Ricardo." It is interesting to now see how funds are being allocated through the bank bail-out. The chart from the NYT shows a number of banks getting capital infusions even when the writedowns they have taken are less than the money offered from Treasury. So why would a bank take the capital when there may be restrictions on executive pay? Banks are willing to take capital even with loans and deposits guaranteed. The capital raised from the Treasury can be used to buy smaller institutions and consolidate the banking system.The capital infusions is necessary if other global banks get a infusion and then have the opportunity to buy US banks. The capital infusion will change the economic landscape for banking. The passing out of capital will make those institutions with capital infusions stronger relative to those that do not get the capital. There will be less competition between large banks that may be constrained in the amount of deposits they can gather in a specific region. There will be more regulation but the risks for large banks will be less. Who is complaining with the stock market up and interbank loan and deposits guaranteed. My pocketbook is bigger today than yesterday, so why would I want to question any part of this plan. We do know that there will be fewer banks and more regulation, but it is not clear what will be the new financial world when this is over. The price may be higher than we think. Interesting comparison 1987 and 2008 - where are the buybacks? Article in the NYT and WSJ suggests that large corporate insiders have been hit with margin calls for their stock. I will also note that we have not heard of major corporations initiating stock buy-back programs. This could be for two reasons. One, stocks are not cheap, or two, the money is not available for firms to borrow in order to buy stock. Could be a little of both, but it is sign that we may not be through the woods. In 1987, buy-backs were strong right after the crash. Of course, there as less certainty abut a pending or existing recession. We would like to see corporations buying stock during this time but I will not hold my breath until funds get cheaper. The EU met over the week-end to hammer-out a European coordinated response to the credit crisis. The G7 meeting was not a success in terms of developing specific actions items. The negative response to the lack of specific action steps made the EU heads of state and finance ministers meet in Paris to discuss a European solution. The EU followed the road map set by the British to guarantee inter-bank lending and inject cash into the banking sector. In Great Britain, the capital injection will partially nationalize the major banks and require a change of management. Australia also has formed a bail-out plan. The US TARP plan looks like it will provide for investments in bank equity. At this time, the markets have taken this level of coordination as a significant positive but we have not seen the financial world open for all money market transactions. The key to this coordination will be what happens to spreads in inter-bank lending. The guarantee of the funds is the most important component of the plan and was the consensus approach of many leading financial economist. If LIBOR and TED spreads close then we should see a sustained rally in equity to the levels in the market around the Lehman collapse. However, the focus of the market will switch to earning so it is unlikely that we will see summer equity levels. For the FX market, the country economics will drive currencies. The dollar will weaken, but we do no see a significant reversal to dollar lows because deleveraging is still putting downward pressure on the Euro and the global economies are still weakening. Some strength will be seen in emerging markets which have strong economies and weree hit hard by portfolio outflows. While the world looks to the G7, there is not consensus on what should be the appropriate action or level of coordination. The statements below suggest that there may not be a singular view on what should be done and when. This is the not the first time that the G7 could not agree on coordinated action. generally, the G7 has not been able to cause a change in unilateral policies within the G7 or across other countries. French Economy Minister Christine Lagarde said, "What is important is to reach an agreement on common principles." Britain's Chancellor of the Exchequer, Alistair Darling, said governments needed to "move on from simply agreeing on a general approach. Markets and people the world over will be looking for a clear sign that governments of the largest economies in particular are prepared to act - they are prepared to take firm measures that will make a difference,"
We will have to coordinate internationally, but beyond that there should be room for nation-specific solutions," German Finance Minister Peer Steinbrueck said. "What Great Britain has been doing is one approach, but that does not mean that it should be transferred to any other country." 1. Take decisive action using all available tools to support struggling financial institutions and prevent their failure. 2. Take all necessary steps to unfreeze credit and money markets. 3. Ensure that banks can raise capital from public as well as private sources, in sufficient amounts to re-establish confidence and permit them to continue lending to households and businesses. 4. Ensure that savers' deposit insurance and guarantee programs are robust so savers have confidence in the safety of their deposits. 5. Take action, where appropriate, to restart the mortgage securitisation markets. The five point plan is a good set of principals for what the G& should do on a coordinated basis but it does not provide specifics if you looking for a reason to see the market go up on Monday. Most of these actions are being taken on unilateral basis but what the markets needs is multilateral coordination that will not change the risk in banks across borders. Unilateral action will cause money to see a home bias and not move across borders. IMF Managing Director Dominique Strauss-Kahn provided a good picture of what has happened to the global economy over the last few years through a simple heat map. He refers to the problem as global financial warming and cooling. Clearly, this is a global problem that needs the IMF to provide support. The crisis is affecting all members whether in the developed or emerging markets. We believe the lending facilities of the IMF are necessary to providing another means of global coordination. If the IMF does not act now, when will it provide support? During crisis there is needed a clear consensus on what action should be taken to calm markets that now have a herd mentality. Consensus is need to to provide the heft to match the negative psychology that is occurring. Without coordination there will also be economic tension across countries which will affect capital flows. You cannot have some countries providing full deposit insurance and other not when all are suffering from the same problem. Why take an action to lend if the expectation is that you may get a better deal somewhere else? Of course, in periods of very high uncertainty there is just a plain flight to quality and in this case it is to the yen and dollar. Coordination is also required because of the high correlation across markets. There is clear contagion to all parts of the globe so any action in one country will spillover to others. Policy coordination can come from two sources. First, we will have the G7 meeting which will allow large economies to speak with one voice and provide joint support. However, the one voice should include the BRIC economies. They have a huge stake in the success of any plan and their help is warranted and needed. Second, there needs to be a clear statement of action from the IMF and World Bank. In the case of the IMF, there is a mandate to provide liquidity and coordination across countries when there is a liquidity crisis. Specifically, they should provide support for the world banking system to ease any credit tensions. The World Bank has been looking for a new mission since the ascent of many emerging markets. This is the time and place for help. A calmer world financial market is necessary for overall global growth especially for those countries in poverty. Iceland - what happens if nationalization does not help? The policy of the day is for the government to take on the liabilities of a financial institution to provide liquidity and stability. This policy is based on the premise that the credit quality of the government is not questioned. At worst, the credit quality of the government should be no worse than any institution within the country. The sovereign rating is generally a cap on corporate ratings. However, nationalization is no answer if the liabilities exceed the ability of a country to pay in a timely fashion. Now we have the case of Iceland. The stock market has been closed and the government has seized control of the largest bank. The entire banking system has been nationalized and domestic deposits have been guaranteed. The government is negotiating a loan from Russia which has significant geopolitical implications. The debt of the banks is $61 billion or 12 times the size of the economy. The country rating is BBB- and a negative watch. The krona is in free fall and we are now reminded that governments can go bankrupt and sovereign risks are real. Carry trade are over and now we move back to the current account dynamics of whether a country can pay their bills. Major central banks (Fed, ECB, Swiss, BOC, Sweden, and BOE) all lowered rates 50 bps. The normal reaction should be an upward spike in equities. However, we are not in normal times. The reaction has been to see a very short term spike followed by a further decline. The recent move seems desperate. It acknowledges that the global economies are doing much worse than expected. It states that flooding the market with liquidity has not had the immediate intended effect. It also means there is one less policy alternative that will be available. Of course, the backdrop of other actions is enormous. Great Britain partially nationalizes the banks with a $87 billion plan. This is a different alternative, following more the Scandinavian model, than what was taken in the US. Iceland will be restructuring their banking system. The money market reaction is all technical. The Fed funds rate is trading higher than the target. Repo rates are lower. Fed fund futures are looking for another 25 bp cut by December. LIBOR rates are higher and CP rates are still range-bound to slightly higher. The negative market mentality is not willing to change with current policy. In the short-run, fundamentals will not drive a currency. It is often about flows. The flows have been back to dollars by US investors who have sold foreign equities. Dollar flows are about foreign investors selling uncertainty in other banking systems. It can also be about changes in the tax of foreign subsidiaries of US corporations. You change the tax incentives and money will flow. We saw a dollar "distortion" a few years back when the IRS allowed foreign profits to be repatriated back to the US at more favorable rates. We will see the same flow effect with a change in IRS rules that will allow foreign subsidiaries to lend funds to their US affiliates. This will do two things. First, there will be easing of CP demand because corporations can tap into internal funds without a taxable event. Foreign sub can be an internal lender of last resort. Second, there will be dollar buying. Nevertheless, some of these flow distortions will come through means that are not readily apparent in the news. This rule was buried in the back pages of the news. lend "quickly, freely, and readily"
We have moved beyond the Lombard Street vision to a new level of lender of last resort through unsecured lending to any A1/P1 institution in the commercial paper market. This lending has become not the last resort but the only resort. A better representation of the Fed action is what was described by Willem Buiter as a variation of the lender of last resort, the market-maker of last resort. The Fed will be a fast acting TARP program for commercial paper. This is certainly a better more effective program than what was approved by Congress. Treasury will work with the Fed to start a new SPV which can buy commercial paper. By providing a floor or market of last resort, there may be a willingness for others to match the behavior of the Fed to lend term loans. The current environment of overnight lending is not working and order need to be restored before we start coming to year-end. Unfortunately, these plans which have significant uncertainty seem to have mixed reactions in the market. I am more glued to the Bloomberg money market page (BTMM) than the equity page and it is hard to see anything positive. Fed funds are above target even with the flood of liquidity. T-bill have moved to higher yields but there is little evidence that CP rates are changing.The money market curve is flatter than what you would expect given the risk premium. The money may be out there but it is still staying in the mattress. One of the classic tools in debate is to take a argument to the illogical extreme to determine what are the implications of an action. We are seeing absurd extremes with respect to the the deposit insurance issue in Europe. Ireland provided 100% deposit protection last week, and now Germany announced guarantees of savings for all private bank accounts. So now there s no difference between holding a government security and a bank deposit.The implications are huge. Ireland guaranteed $567 billion in liabilities including covered bonds, senior debt and subordinate debt. Germany will guarantee about $775 billion in deposits. There is a complete blurring of private and government savings alternatives. There blanket of being a risk free asset is now taken on by banks. But if every asset is a risk free asset then nothing is a risk free asset. Details are still unclear, but let's review a simple scenario. Money will move across borders to take advantage of the guarantee. if you are in Europe, why would you hold your money in any bank except those of Germany where you have the guarantee. You should take your money out of Italy or Spain, which are still denominated in Euros, and place the money in a German bank. Beggar-thy-guarantee. so everyone will have to provide a similar guarantee across Europe which means that you still have to determine the risk of the country because all countries do not have the same ability to guarantee deposits. Who cares about collateral now that deposits are guaranteed. Depositors do not have to worry about the safety and soundness of the bank. Depositors have to worry about the safety and soundness of the government. This will have strong implications on the European union. Should guarantees by a government extend to all depositors, even citizens of another country? The survival of the world financial system depends on an elaborate confidence game. The size of the financial markets, relative to the governments, has become so monstrously huge there is no other means of maintaining stability than to establish a psychology of confidence. The governments themselves cannot by edict restore order. They can only project to the markets a sense that they know what they're doing." Trust, confidence, order. These words are easy to define but are hard to quantify during a crisis. We need all three, yet all are in short supply. The rules of the game are changing everyday which destroy trust that the system is fair and well-known. If the system of rules are not known then there is no reason to play the game of investing anywhere around thee world. What is critically needed is a set of principals that are well defined by governments to explain what it will do and when it will do it. The TARP may be a good plan but the lack of clarity or guiding principals that can be understood by everyone is not one of the pieces. The case-by-case approach to solving the problem is not working and needs to be revamped. This is not a monetary problem that can be tackled or articulated by the central banks but a rules problem which will tell investor will be saved and what will be allowed to fail. Of course, precise answers cannot always be provided, but clarity of principals is required. Foreign reserves still growing - a place to tap for liqudity ? The foreign reserves of many central banks around the world are still growing and may be a potential key to providing more liquidity during this crisis. A quick review of the latest reserves shows that if you focus on just the top holders there is over $3 trillion in dollar assets. We know most of these assets are in Treasury and US agency securities. If some of those funds were redeployed to buy top quality short-term paper there could be a significant enhancement in liquidity without ballooning the global money supply. Some of the current problem is a portfolio rebalancing issue. Money moves to safe havens and there is a shortage of liquidity in some market sectors. This money is already invested in many money market alternatives, but there has to be a rebalancing to "riskier" asset. If the reserves move into non-Treasury investments, they would be able to receive higher yield. There is a gain on taking on the liquidity risk. Additionally, the Treasury could provide some guarantee for this activity. The risk to the Treasury would be as a backstop and not as a direct investor. It may be necessary to have coordination across these reserve funds for two reasons. One, all of the reserve funds may not have an incentive to bail-out the developed world. Two, no one wants to be be the first investors, so a pool or SPV administered by a third party like the Treasury or the IMF would be appropriate. The most important policy objective is to try and tap into funds that are already available without forcing a change in central bank liabilities. Many of these foreign reserves will be socked with inflation loses if the dollar or the Euro see a debasing of the currency, so help now may diminish risks later. A problem with providing loan relief or a bail-out of banks is there is no clear point where you can stop the number of bail-outs. The Fed starts taking a wider range of collateral and again there is no clear rules of what will be allowed and what will be stopped. Do you bail-out auto companies? Do you take in sub-prime collateral? It is only natural that municipalities will come asking for some debt relief. California is potentially asking for guarantees or loan relief for $7 billion in funds. Massachusetts is also going to the government to ask for help. Clearly, the municipal debt market is in disarray. It may be worse than the the corporate markets given the fragmented nature of state borrowing and the fact that so much of the market has used insurance to gain the highest ratings. Should the government provide support for the municipal market? Hard to say in any particular case given there is the potential for contagion if nothing is done, but it is clear that if the relief is extended to the states then our form of federal government with national, state, and local government will be significantly changed. Taxpayers at one end of the country will be providing support for the spending in another state at the other end of the country. If the Federal government provides relief should they have the ability to control spending or taxes within a state? Clearly, in the case of bank bail-outs there is the assumption of control of assets and management. Should the same power be given to the Federal government if it is needed to avert bankruptcy of the state? This is similar to the 1980's problem in Latin America where there was the classic refrain by the head of Citibank that governments do not go bankrupt. So thereafter many countries did just that. If the government provides this kind of relief than what happens to the credit rating of the United States? Are there no limits or are the limits dictated by the player or situation? We have a national crisis and the instead of focusing on the issue at hand we see politician load up the Treasury bail-out (TARP)plan with tax breaks of all types. Included in the bill are things like: a repeal of the 39 cent children's arrow tax, tax breaks for alternative energy, corporate tax write-offs, incentives for investing in Indian reservations Notice that all of these are not even focused on the housing markets which were the initial problem of the credit crisis. Without those Christmas ornaments, the bill would not have passed. Leadership from both presidential candidates who have both stated that they are for cutting waste and earmarks agreed with the bill. No one said stop the process, so not only are we going to pay for a bail-out but we are going to cut revenue to make up for the the debt shock. Why can't we get a clean bill on a single topic so that we have clarity on what is being passed and a national focus on the direct problem on hand? Save the banks! Save the depositors! We need to protect them, so let's increase the level of deposit insurance from $100,000 to $250,000. There is no question that increasing the deposit insurance for bank clients will stem withdrawals from risky banks to the Treasury market. Any reduction in deposit outflow will allow for less delevering of the banking system which will reduce the credit crunch. Unfortunately, the overall impact on markets will not be clear as the investors react to the change. Second, we are going to see more cross border moves in banks because of changes in deposit insurance polices across countries. Ireland has insured all deposits which will clearly cause some savvy depositors to move money to Ireland to take advantage of the benefit. These insurance scheme will accentuate the risk differs in banks. Risk shifting will move from the private institutions to government institutions. Three, the increase was necessary because money market mutual funds were given insurance by the Treasury Department so they would not break the buck. If the Treasury was willing to give insurance to money funds for a three month period, these funds were given a better insurance deal than banks. The banks, of course, would want a better deposit insurance scheme. The actions of the government will cause portfolio rebalancing effects which may shift money to areas which were not originally intended. The funds which are left out of any insurance scheme will be at a disadvantage to all others and will move to those places where there is a guarantee. It is not clear that this is what the government wants to happen. The dollar has been one of the few assets which have shown strength. Of course, the European would think differently with their falling euro. Yet, the credit debacle has problems on the most liquid market in the world. This is due not the lack of credit to trade FX but associated with the pricing of forward which are tied to banks funding costs. We watch spreads in the forward market very closely and have seen a significant increase in spreads and volatility which far exceeds the volatility in the spot market. Obviously, the volatility in the forward market is a combination of three things, the volatility of spot, interest differentials and the covariance between the two. The increase in interest differentials have not been offset by the covariance. If fact, forward prices have become more jagged as short rate funding problems have carried over to pricing in ways that have not been seen in longer dates pricing. In fact, we would say that some of the dollar rally on certain days is associated with the high rates in the US relative to Europe even though the target rates in Europe are higher. These flows actually will change intraday as the Fed funds market clears. Even the most liquid markets in the world are seeing the effects of the credit crisis. 1. Lending standards were relaxed which increased the risk of default. Generally, lending standards are always relaxed as we move further away from the last recession. Bad behavior is discounted as we move further away from the last time poor lending practices were employed. 2. Interest rates came off significant lows which increased the cost of borrowing. While still low, the Fed fund rate went from 1% to 5.25 in a little over 2 years. As economies improve, rates go up which reduces lending. 3. A slowing economy from the commodity shock will increase credit risk. Higher credit risk, tightening credit standards, higher risk premiums are all part of the normal credit cycle. Credit spreads should be higher as the economy slows. The three stylized facts about business cycles exist no matter what kind of regulation or even if there was no greed on Wall Street. A bail-out is not going to change the normal behavior of the credit cycle. There was no unforeseen event like Nassim Taleb’s “Black Swan”. (The stock market crash was a different story.) Firms are expected to fail. Given the central role finance has played in the US service economy, it should not be surprised that we have had bank and brokerage failures. This has happened in the recession of 1990. Citibank almost failed at that time. The saving and loan industry was almost destroyed when coupled with the excesses of the 1980’s. Why are we bringing these issues up? Because whatever the policies or bail-out plans that are put forth, there will still be significant pain as the economy adjusts. We have to accept this truth.